I think it’s quite unfair how hops and yeast, as much as I love them both, get all of the attention. Malt has been called the “soul” of beer, and rightly so! Few things soothe the soul quite like a field of barley rustling in the wind, though, I find a quiet mediterranean dog-friendly beach works as just as well. Barley, however, is more interesting than most know. Archaeobotanists have found evidence of human consumption of barley dating back 23,000 years, and its domestication was more than 10,000 years ago, making it one of the three early domesticated cereal grains; the other two being emmer and einkorn, both of which are early varieties of wheat. Domestication likely had multiple emergences throughout the fertile crescent. To make beer, the barley must either be masticated (the enzymes in human saliva break down the complex starches into simpler starch chains – chicha is an ancient ‘beer’ made of maize still produced this way) or malted. 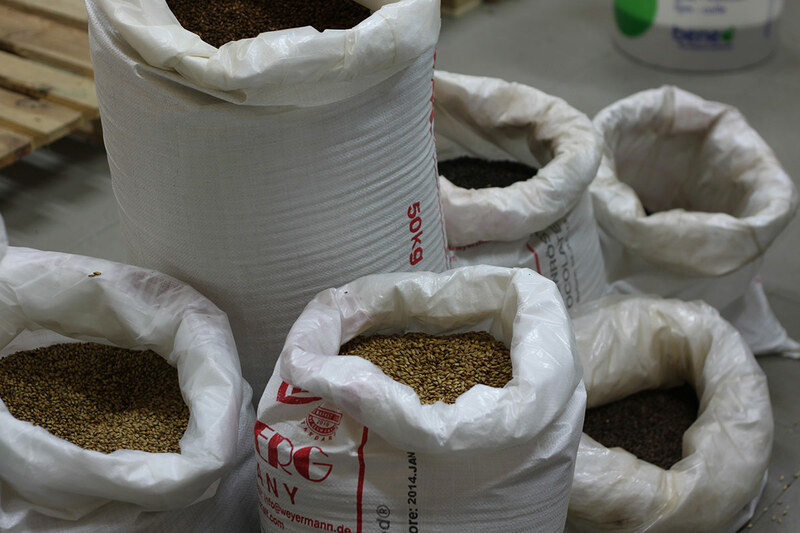 Malting is a process of soaking the grain in water, which induces germination. The barley will be germinated for a few days, after which it will kilned and dried to arrest the growth. Malting sounds very complex, and it is, however it was completely known by historical societies. A popular theory for the birth of beer is that grains were harvested and left in a bowl in the rain, the grains sprouted and were subsequently dried by the sun, shortly thereafter, the rain came again and filled up the bowl, and finally fermented spontaneously – voilà! Beer…of sorts. Well documented and known even beyond the world of beer nerds is the ancient Egyptian and Sumerian beer culture. With tablets documenting stages of malting and brewing dating back nearly 4,000 years, with references to barley malt and beer a couple thousand years before that. These ancient cultures would bake the barley into breads, which would be mixed with hot water and mashed – a process in brewing that breaks down the starches in the grains into simple sugars that yeast can easy eat. But what about malting? The barley would be harvested and put into baskets, these baskets would then be lowered into wells to hydrate the grain. Once ready for germinating, they would hoist the basket out of the water, this would allow them to adjust the temperature by raising or lower the baskets. With the germination stage complete, the grains would be dried, either by the sun, fire, smoke, or an oven. This practice continued essentially unchanged throughout millenia, continuing even into the 1800’s, until the industrial revolution came along and changed everything. According to an older German text, air-dried malt produced a “...good, pure, wine-colored beer” referencing, of course, the white wines of the region. Beers made with this type of malt were usually classified as “white beers”, and many modernised regional variations still exist today. Weissbier and witbier are two different styles of modern “white beer” (as the names suggest), today made with either malted or unmalted wheat. There was also “brown beer”, which contain malt that was usually smoked and dried over wood (especially beech) fires. The smoke drafting directly up to the malt, this practice was common throughout the beery European lands. Small holes perforated into brick floors would allow the smoke through from the fire below the floor. This would produce a warming, and occasionally heavy, smoked flavour. Beers of this type still live on today, notably produced in a beautiful little German city called Bamberg, not too far from the Czech border, as well as in some if the traditional farmhouse breweries in Scandinavia. In the mid-1800’s, the world witnessed the advent of the golden lager from Pilsner Urquell, which came to change the history of brewing in a way most of us are more-or-less familiar. With the rise in popularity of pale lager abroad, the barley that made it possible rose to prominence, as well. Haná barely takes its name from the region in Moravia in which it grows, it’s reputed to lend a nice oily, creamy character beer, something that works exceptionally well with pale lagers. Throughout the mid-to-late-1800’s, and continuing well into the 20th century, the Austro-Hungarian Empire bred and crossbred Haná barley, creating hybrids and making Haná barley the parent strain of high-quality barley the world over. This barley and its cultivars got the reputation of the best barely in the brewing industry. With this globalised propagation, landrace barleys were mostly lost, though a few still exist and others are experiencing a revival. 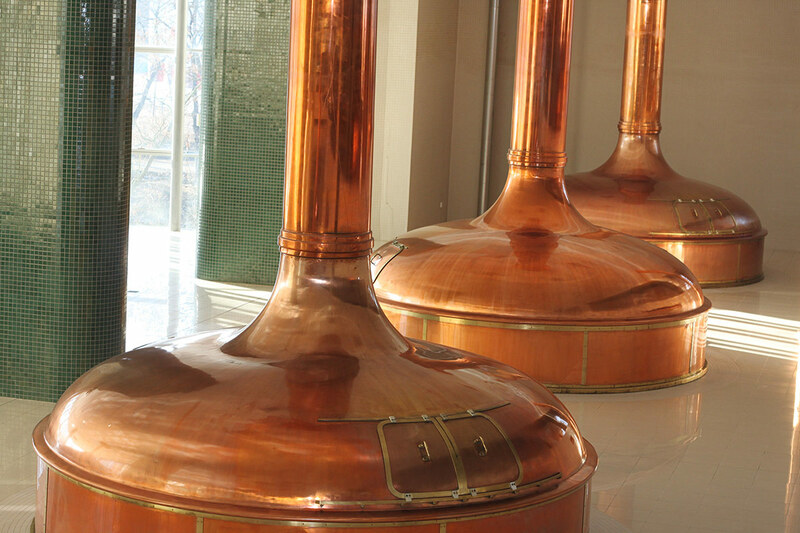 In the late 1800’s malthouses began to catch up with the modernization that the brewing industry had experienced, and the modern pneumatic malt house was born. The modern malt house has artificial ventilation that works to cool down the malt as it germinates, creating a highly modified malt. In traditional floor maltings, the malt is spread onto a tile floor and turned multiple times a day, but hand, using a rake or shovel. Without the artificial ventilation, carbon dioxide that the malt produces during this phase stays in closer proximity to the barley, creating a less modified malt with a more full, richer depth of flavour that you won’t get from the modern processing. 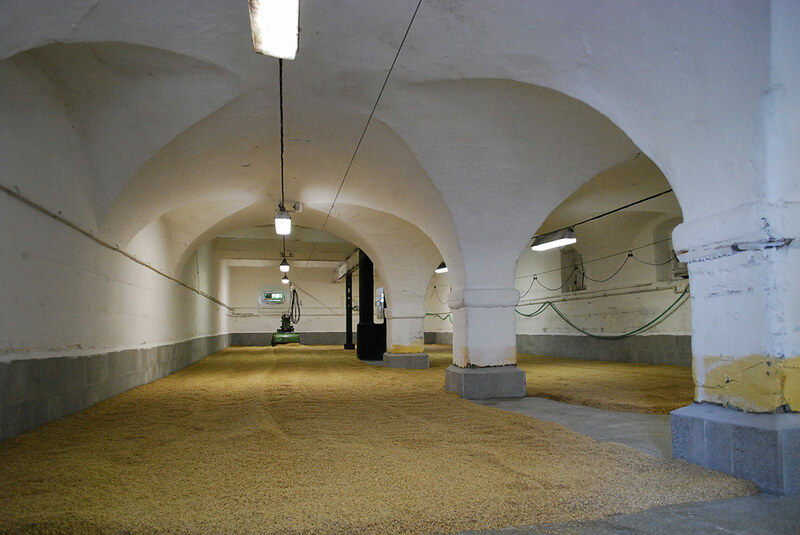 Many of the malt houses in our country continue the tradition of floor malting, which helps to give the Czech lagers their unmistakable characteristics that we know and love. One cannot make beer without malt, and why would one want to; malt is indeed the “soul” of beer.